At ASAP Locksmith, we believe that every house should be protected by taking the right measures and solutions to every residential issue. 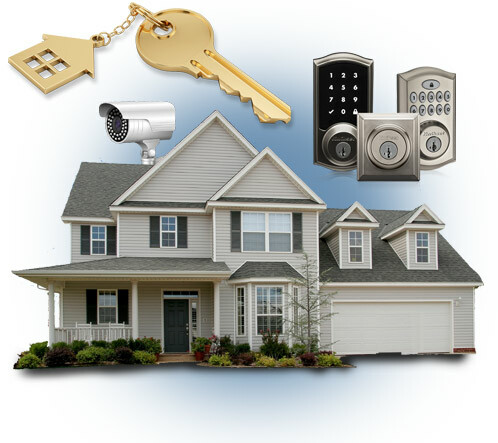 Our residential locksmith services are highly reliable and we provide them 24/7 all throughout Los Angeles. In order to live a comfortable lifestyle, it’s important to keep your loved ones safe at all times. You’ll want to have a strong and secure locking system and CCTV surveillance cameras around the perimeter of your house, especially if you live in a dangerous neighborhood. With our knowledge and locking expertise, we can double or even triple your current security system’s efficiency. As locks can easily be picked or damaged, we ensure that our high security products ward off even the craftiest burglars who try to breach your household. Even if the most they can do is damage the locks or windows. We all make mistakes from time to time, but the ones that cost us are usually the simplest in nature, such as when you try to open a stuck lock and accidentally break the key inside. Or you’re locked out of the house because you lost your keys on the way there. Therefore, we arrive at your doorstep to address these problems and more. Whether you’re struggling with the door, mailbox, gate, safe, window or any other security system with locks on them. ASAP Locksmith has the tools to get you fixed up and back to your life pronto. All of our locksmith services are provided 24 hours a day, 7 days a week. We highly value making our customers comfortable, which is why our technician arrives onsite as quickly as possible to resolve any issue at hand. We carry versatile locking systems which are designed to work on all types of locks and security systems, whatever the customer needs. We are wholly dedicated to delivering 100% customer satisfaction, which means delivering what you want, when you want it most. Regardless of your residential lock problems, we are here to solve them all, and fast. With the best people on board, you don’t need to worry whether your tasks will be done correctly and responsibly. We aim to complete our work as fast as possible while balancing our attention to detail so that our client is happy and fully satisfied. In order to keep a home safe, we take well thought out measures and steps according to our client’s needs. Additionally, we believe that no one should ignore the importance of home safety. No matter how safe you think you are, crime is always close. Hence, our locksmiths can properly lock your doors and windows to make it the safest fortress in your neighborhood, a beacon of light in dark times when theft and burglary reign supreme. At ASAP Locksmith, we want the very best for our customers. Therefore, all our services are available 24/7 so that you can contact us at any given time. We guarantee you won’t get these services from our competitors with our low-cost and incomparable prices. Contact us today and get a free quote over the phone from our friendly dispatch team! (866) 550-5625.